INDUSTRY.co.id - Jakarta - In 2017, PT Sompo Insurance Indonesia (SII) noted that Gross Written Premium (GWP) rose by 17.2% from 2016, while the average growth of other companies in the Insurance Industry reached only 3.1%. 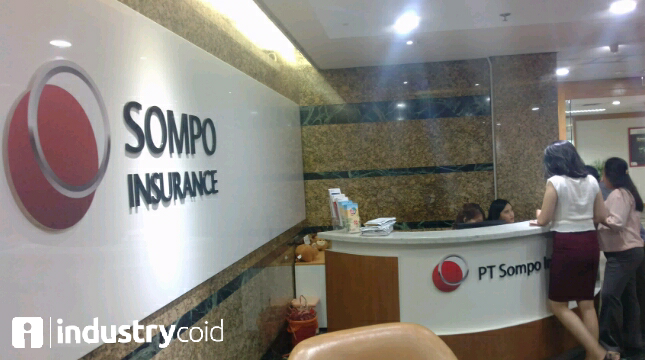 Said Sompo Insurance Indonesia CEO, Daniel Neo when contacted INDUSTRY.co.id, Wednesday (7/2/2018). "Setting up new and profitable distribution channels such as Health (2015), Travel Insurance (2017), and Sharia Insurance (2017) will be an increasing factor," Daniel said. In addition, Daniel added, SII also adds new business partners in the field of Bancassurance and Motor business. "Improving and improving Customer Service by establishing Customer Service Department and setting up 24 hours hotline," he added. In 2018, SII targets Gross Written Premium to reach Rp2.34 trillion. "For 2018, we have a target GWP achievement of Rp 2.34 trillion until the end of the year," he said. He revealed, this year SII will continue to develop innovative products for partnerships and improve relationships with agents and intermediaries. "In addition, it also enhances customer service from the point of contact of claims to create easy access to call center, website, and others oriented to the philosophy of Customer First," said Daniel.